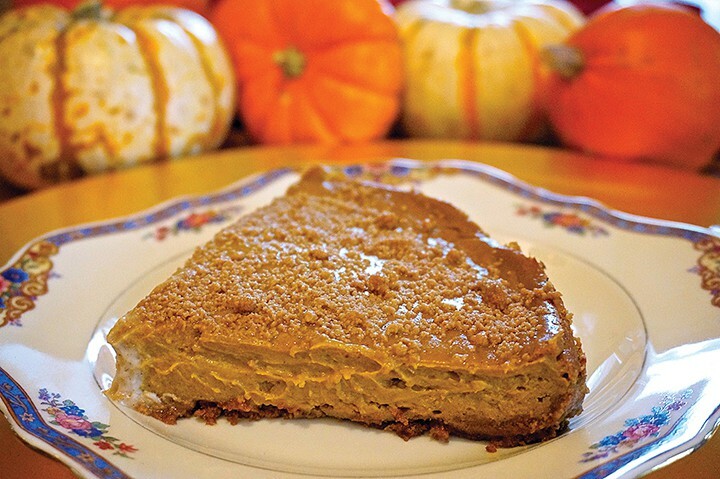 In case you didn’t get your fill of vegan dessert yesterday, I have a wonderful vegan pumpkin cheesecake from Laura Theodore’s new book, Vegan-ease. The book is a beautiful hardcover edition with lots of full-color photos. You’ll find some information on making your cooking and planning easier in addition to tons of easy-to-make recipes. You’ll find a whole chapter dedicated to stress-free holiday recipes, so it’s a must have for the entertaining season! 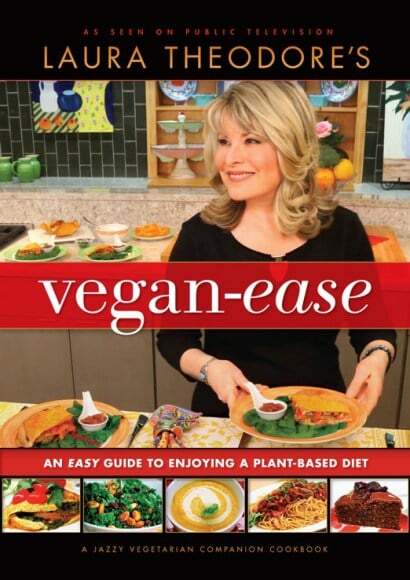 One of my favorite parts of Vegan-ease is in the back where she talks about menu planning. She goes one step beyond the basics and gives you 12 complete meals with appetizers, mains, sides, desserts and drinks. Basically, she just planned out all your party menus for you! The Merry Breakfast Buffet and Joyful Holiday Dinner are the ones you can try out in the coming months. Thank you Laura for making all our lives a little easier this holiday season! 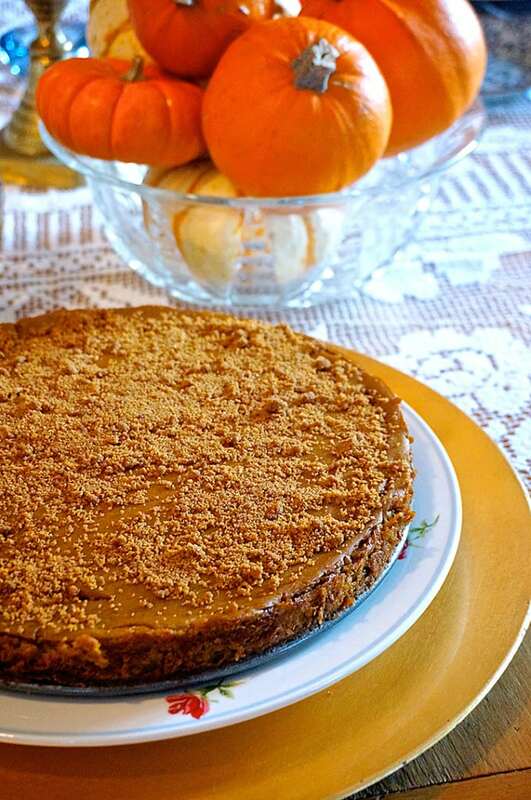 A lovely tasty easy to make cheesecake that I love! 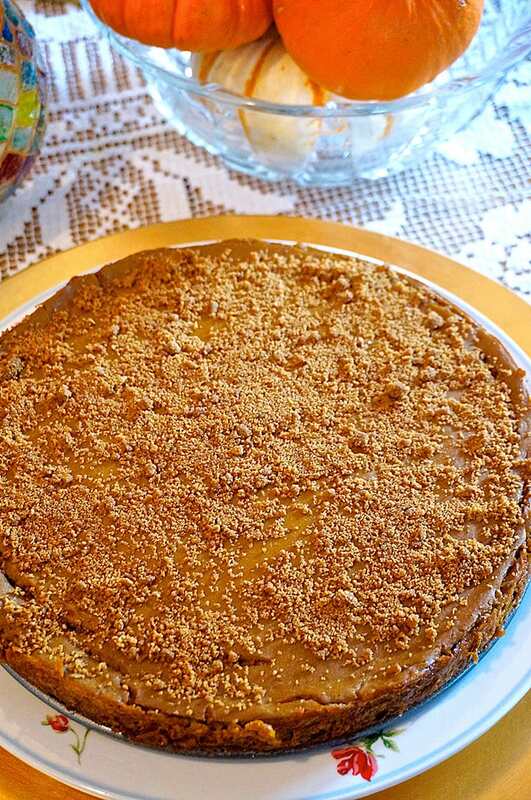 On my list to make this week,…ooh yes! This recipe looks absolutely delicious. I love to create and prepare healthy recipes also. I author a food blog called Vintage Nutrition Kitchen. Although I am not on a Vegan Diet, I really enjoy trying new Vegan and Vegetarian recipes.